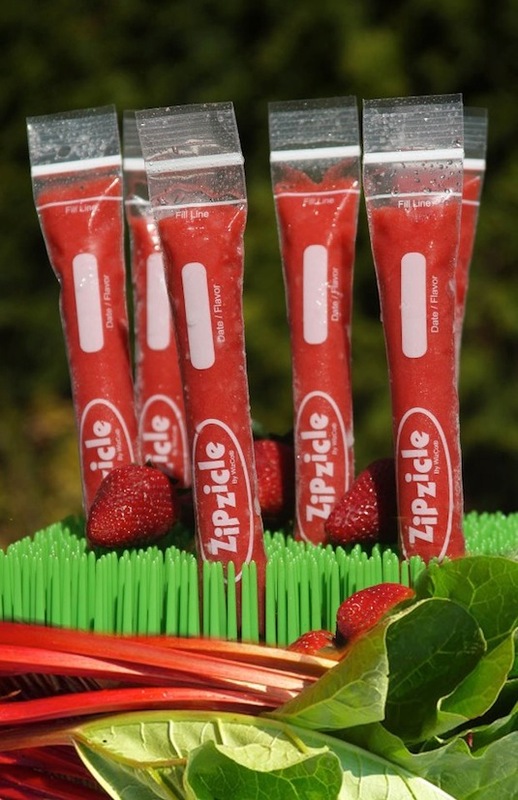 Make your own ice pops with fresh and healthy ingredients with these ice pop molds! Fill them with juice, smoothies, yogurt, or anything else you can dream up. And, they have a zip top so they don’t have to be eaten all at once. I’ve been doing this with my daughter for a few months now, only we’ve been using those cheap plastic ketchup squeeze bottles. They work ok, but the batter tends to get stuck in the small opening, so I have to make it thinner than preferred. 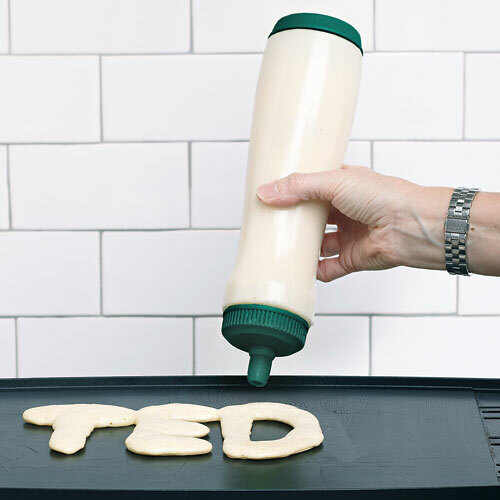 But, this bottle is made specifically for pancake art! It also works great to fill cupcake liners without the mess. The top and bottom screw off for easy cleaning, and the tip is heat resistant. 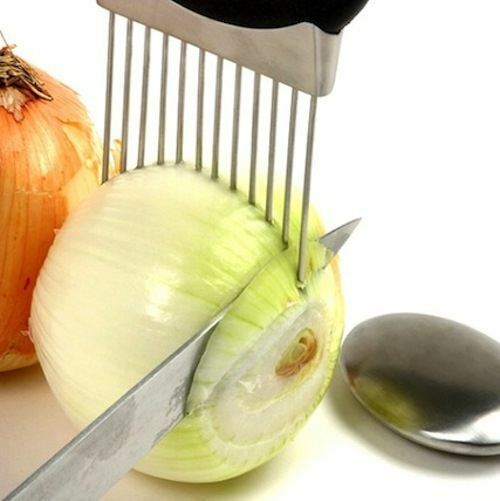 This handy onion holder not only holds the onion for you (no more stinky hands), but also guides your knife for perfectly even slices. And, I’m not certain how this works, but apparently the stainless steel part of the grip removes onion odor from your hands. I’m not sure how that works, but it couldn’t hurt!